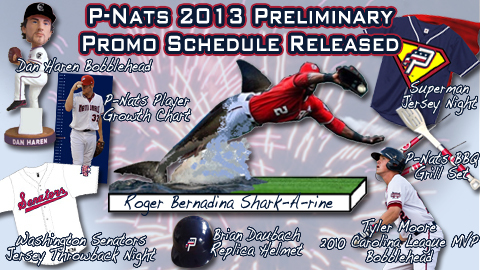 The Sharkadina Blog: "Roger Bernadina Shark-A-rine"
The Washington Nationals outfielder that has been dubbed, "The Shark," Roger Bernadina (2006), will be memorialized in a half-man, half-shark figurine that the P-Nats front office has christened, "The Shark-A-rine." This one-of-a-kind, never before seen player figure will serve as a rendering of Bernadina's days hunting down fly balls in the outfield gaps at The Pfitz like a hungry shark chases its prey. They haven't released the date yet, but we will be sure to let you know so we can have the whole stadium CHOMPing! I am definitely going to be there.